We install and support SQL Server 2008 R2 infrastructure. Host your SQL Server 2008 R2 database or websites with us. Sign up for a sites account. SQL Server 2008 R2 delivers several breakthrough capabilities that will enable your organization to scale database operations with confidence, improve IT and developer efficiency, and enable highly scalable and well managed Business Intelligence on a self-service basis for your users. Download the SQL Server 2008 R2 Trial, as well as Microsoft's complete Business Intelligence platform, including the new PowerPivot for Excel 2010 add-in now. We offer professional grade SQL 2008 R2 Hosting to organizations, businesses and developers across the Globe. We take care your SQL 2008 R2 database Hosting professionally. What we think makes ASPHostPortal.com so compelling is how deeply integrated all the pieces are. We never fall asleep and we run a service that is operating 24/7 a year. Our key strength in delivering the service to you is to maintain our server uptime rate. Given the scale of our environment, we have recruited and developed some of the best talent in the hosting technology that you are using. 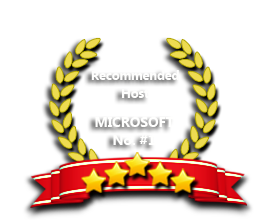 Our Windows Cloud Hosting fully supports SQL Server 2008 R2 hosting. You are more than welcome to try our Free Windows Cloud Hosting before you decide to buy. You can get your Free Cloud Windows hosting account up and running within the next few minutes.